During this Prac Experience I have been teaching English and Science. In Science it’s all about life cycles, what living things need, habitats and environments. During the first week we went on a Habitat Hike in our local school environment to see what we could discover. The students took digital photographs of the habitats found to use in a later lesson. Once I had downloaded the photographs from the camera to a computer, printed the digital photographs using a colour laser printer and laminated them they were added to the Habitat Display. Yesterday during Science the children explored the display and were totally transformed by seeing their photographs enlarged and displayed on the wall inside their classroom. They really engaged in revisiting the habitats discovered and what could be living in them. This also transformed my thinking of ICT as not just using computers and IWB’s but of all the other types of technologies available to us to allow little people to see the world with a different perspective… and that’s what teaching is all about! 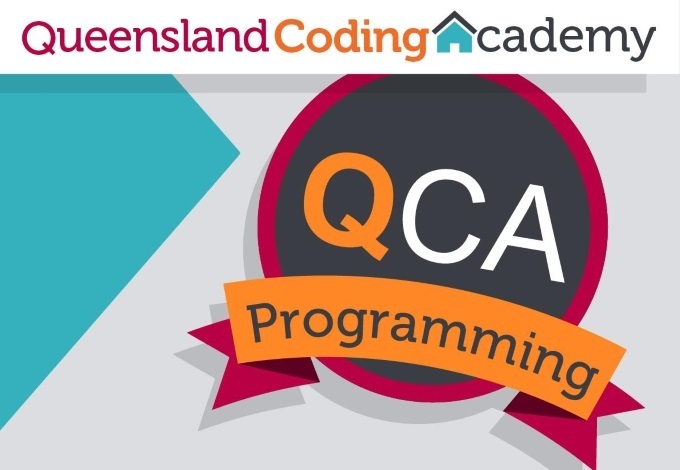 The Queensland Coding Academy is a simple, yet dynamic online resource to help state school and preservice teachers develop their students’ abilities in coding and digital technologies. In an increasingly digitised world, every current and future teacher will be challenged to develop their students’ abilities to identify needs and create digital solutions, essential skills for the future! The Queensland Coding Academy is now available for state school teachers on the Learning Place. Preservice teachers studying at a Queensland university can use their affiliate access to register. The resources complement the Curriculum into the Classroom (C2C) materials that support the implementation of the Australian Curriculum: Digital Technologies. The Queensland Coding Academy is an initiative of the Queensland Government’s Advancing Education: An action plan for education in Queensland, in response to feedback from the #codingcounts discussion paper. Accessible, credible data – students can test hypothesis with true data. Mama Codes is another interesting website which explains why it’s important to teach kids coding and what the future holds as well as teaching coding. There are so many out there now … who would have thought! Wow! This kid is great…. Imagine getting him in your class … how do you cater for that in Prep?! There are many websites available with quizzes and presentations to educate and create an awareness for students and parents on being a cyber safe digital citizen. As I haven’t had a chance to meet/chat with my mentor about the school’s existing policies I have researched Education Queensland’s strategies and will discuss this with her when I get to start my Prac Experience. identify how they use ICT in multiple ways on multiple devices. I found this link when I reading through the Week 10 learning path info – the Office of Children’s eSafety Commissioner has a heap of great information related to keeping students cybersafe. Great resource to keep to show students! I did find it interesting though that the presentations started from years 4-6 … what about the younger years? Are they not recognised as being Digital Citizens? Do they not need to know how to be cybersafe or are they immune to cyberbullying? It will be interesting to check out with my Prep/1/2 class next week! I’ve felt a bit like this poor ol’ bear this week! This time last week I was feeling fine and wasn’t going on Prac but that literally changed overnight! I woke up through Thursday night with a gastro virus which put me out of action all day Friday, and by Saturday when I was feeling half human I sat down to see what’s been happening in the world to find out now I AM going on Prac. With trying to get over the flu, celebrate my birthday and get in touch with my mentor it’s been one heck of a week! So we finally ‘met’/caught up on the phone TODAY and as it’s Ipswich Show Day Holiday here for us tomorrow, there’s no Pre-service Mentor Meeting for me! She’s sounds lovely, is really looking forward to having me and is happy to go through my check-list questions and lesson plan/teaching load etc. on Monday which quite frankly suits me as it buys me some time to get well, get my head in the game AND get my checklist finalised! From what I found out today the context is Prep/1/2, she’s a Teaching Principal, there are 19 children in our class with only 28 students in the whole school! I’ve been reading about others who are nervous, excited and worried … I haven’t gotten that far yet … check-in with me on Monday morning when I’m driving out there! 😉 I’m looking forward to hearing about everyone’s experiences – I really feel like this blogging thing has brought us closer together. If anyone’s interested I’ve taken Zoe’s great advice and started my own Practicum Experience Blog so come and follow me over there!